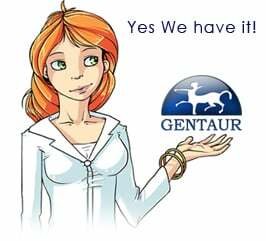 Gentaur antibody-antibodies.com The Marketplace for Antibodies : The α-helical content of the transmembrane domain of the British dementia protein-2 (Bri2) determines its processing by signal peptide peptidase-like 2b (SPPL2b). Regulated intramembrane proteolysis is a widely accepted concept describing the processing of various transmembrane proteins via ectodomain shedding followed by an intramembrane cleavage. The resulting cleavage products can be involved in reverse signaling. Presenilins, which constitute the active center of the γ-secretase complex, signal peptide peptidase (SPP), and its homologues, the SPP-like (SPPL) proteases are members of the family of intramembrane-cleaving aspartyl proteases of the GXGD-type. We recently demonstrated that Bri2 (itm2b) is a substrate for regulated intramembrane proteolysis by SPPL2a and SPPL2b. Intramembrane cleavage of Bri2 is triggered by an initial shedding event catalyzed by A Disintegrin and Metalloprotease 10 (ADAM10). Additionally primary sequence determinants within the intracellular domain, the transmembrane domain and the luminal juxtamembrane domain are required for efficient cleavage of Bri2 by SPPL2b. Using mutagenesis and circular dichroism spectroscopy we now demonstrate that a high α-helical content of the Bri2 transmembrane domain (TMD) reduces cleavage efficiency of Bri2 by SPPL2b, while the presence of a GXXXG dimerization motif influences the intramembrane cleavage only to a minor extent. Surprisingly, only one of the four conserved intramembrane glycine residues significantly affects the secondary structure of the Bri2 TMD and thereby its intramembrane cleavage. Other glycine residues do not influence the α-helical content of the transmembrane domain nor its intramembrane processing.